Personalisation is paramount to great customer experiences. 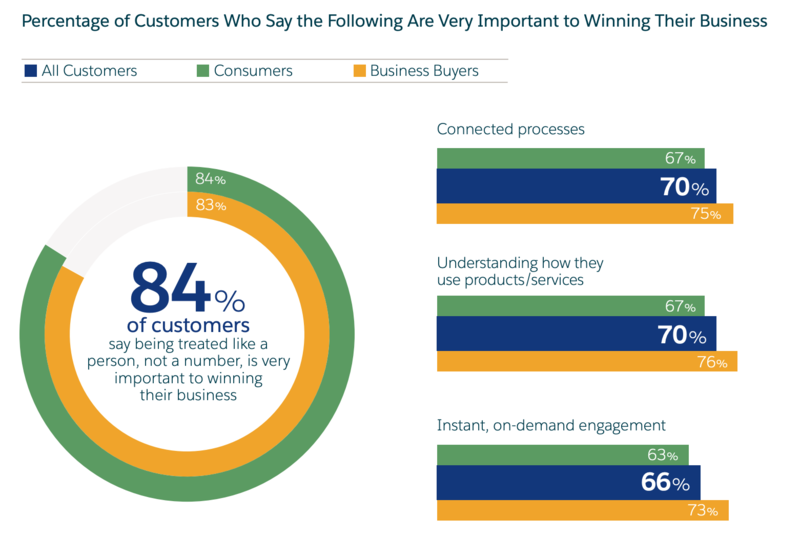 In fact, according to our research, 84% of customers say being treated like a person, not a number, is very important to winning their business. No surprises there, so why are we talking about it today? Personalisation has become the new norm. In the past, personalisation was done on a much smaller scale – it was done mostly in person. The Internet allowed for rapid scalability. When businesses started taking full advantage of the internet’s capabilities, they were able to scale in ways that were unimaginable before. Solid data trumps an educated guess. Suddenly, when crafting customer experiences, companies were making decisions based on millions of online interactions, across their entire customer base. Data at this scale opened up huge opportunities for businesses, but it also presented a major challenge. So how do you use all that data to optimise for the individual, in the moments that matter? Personalised experiences are everywhere. Think Netflix and Amazon. Intelligent recommendations ­– refined based on your past consumption habits, and curated for your future consumption. The result is that customer expectations are beginning to skyrocket – for business buyers and consumers alike. People are getting used to personalised service, tailored content and experiences. Your customers are comparing the experiences you offer with everyone else’s. You’re now competing with the best, most customer-driven businesses in any industry. You need to scale your customer relationships and create personalised experiences everywhere – for every individual, across all channels. Old tools don’t cut it in the modern world. 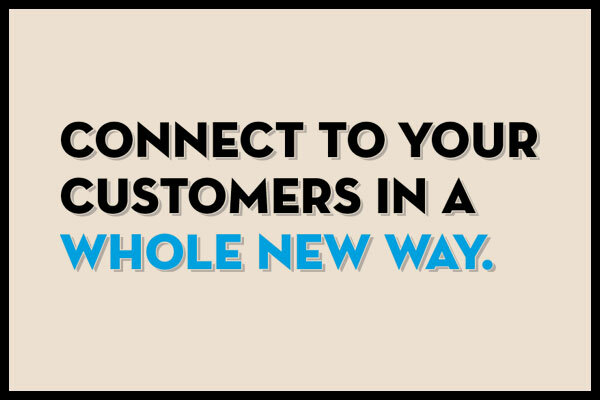 You need the best available if you want to really connect with your customers in a whole new way. You want a 360-view of customers at all times, you need to bring all of their data together on a single, central platform. The kind you can use to join up the dots across all customer touchpoints, so you have all the context you need to make your next move your smartest possible move. If you’re in marketing – it might be personalised messaging to serve the most relevant offer to your customer. If you’re in customer service – it might be predictive tools so that you can offer the customer a solution before they realise there’s an issue. If you’re in sales – it might be tools like AI to cut the more manual elements of your job, so you can focus on getting closer to your customers. Of course, the lines between these departments are blurred – customers see any interaction with any department as an interaction with a single entity: your brand. To be consistent, you need a platform that breaks down silos. Whatever department you’re in, connecting to your customer in whole new ways means empowering all your people to innovate, make more intelligent decisions, and forge stronger customer relationships. Sound like a big task? We’re here to help. Salesforce CRM connects all of your data on a single platform so you can connect to your customers in a whole new way. To gain a deeper understanding of how customer behaviours are changing, and how you can get ahead of them - head over to our second edition of the State of the Connected Customer.